Tiling flange allows for corner or alcove installation of a bathtub against a wall. Please select the finish of your jets and suction fittings. Jet and suction fittings will be the same color as the chosen tub color. Not available for all tub colors. 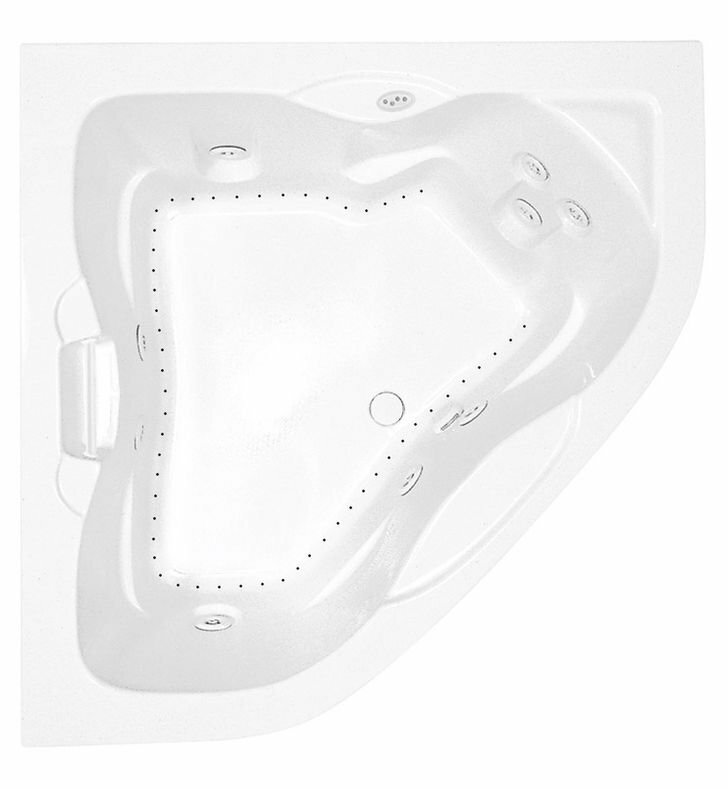 Therapeutic bubbles, soft currents and soothing heat make stresses float away. Adding to the sublime spa experience are more designs, colors and customizable options than you’ll find anywhere else. Soak up the abundant possibilities, and you’re certain to feel inspired and invigorated. Dimensions: W 60" x L 60" x H 24 3/4"